What does it mean to “go green”? 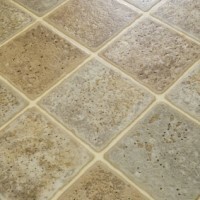 At Greenfield Flooring, it starts with how the product is produced as well as the materials that we use to install it. We’re proud to be a “green” company, offering many environment-friendly green flooring options for both commercial and residential applications. 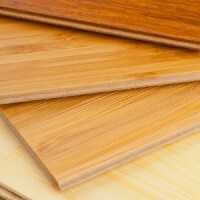 If you like hardwood flooring, consider bamboo. Although bamboo is technically a grass it is very hard and scratch-resistant. It is a green product because of how quickly it can be reproduced. Bamboo can be planted and harvested up to 8x faster than traditional hardwood. Bamboo floor typically comes pre-finished with oxide finishes and topcoats of scratch resistant polyurethane. Cork is a natural renewable product that has recently become popular do to its soft feel and antimicrobial properties. Cork comes from the bark of a cork oak tree, and only the bark is ever used – the tree is never cut down. 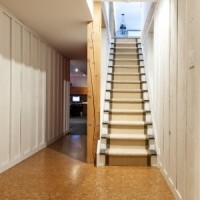 Most cork is available in planks and tiles that come with Eco-friendly urethane finishes. 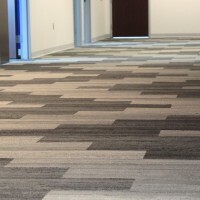 Several carpet companies offer a renew-ably sourced fiber that is used in their product. These renewable materials, such as corn sugar, replace the harsher materials that were traditionally used. The product you get is still beautiful, durable and offered in many styles and colors. Another “green” carpet option is wool carpet. While wool can be a bit more costly it offers a comfortable feel and of course it from a renewable source. Linoleum flooring has been used for decades but is recently enjoying a resurgence because it is one of the few products made primarily from natural raw materials – linseed oils, wood flour, resin, and jute. Linoleum in quiet and comfortable underfoot.